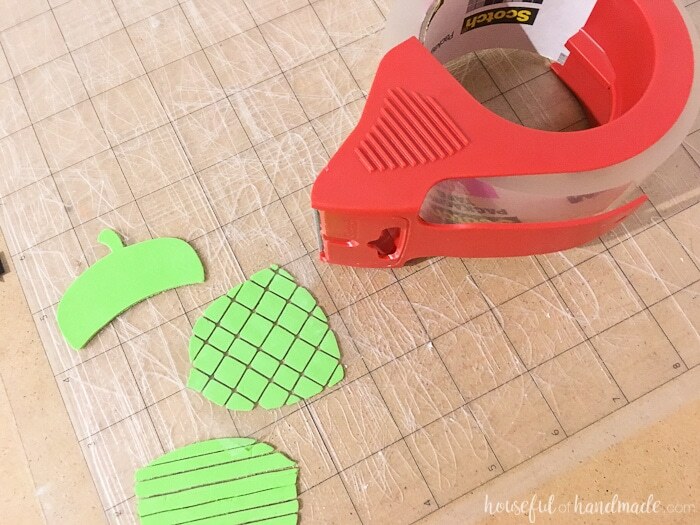 The cut file for the acorns I used are available in my library of free downloads and printables. Click here to subscribe and get access to this download and so much more. 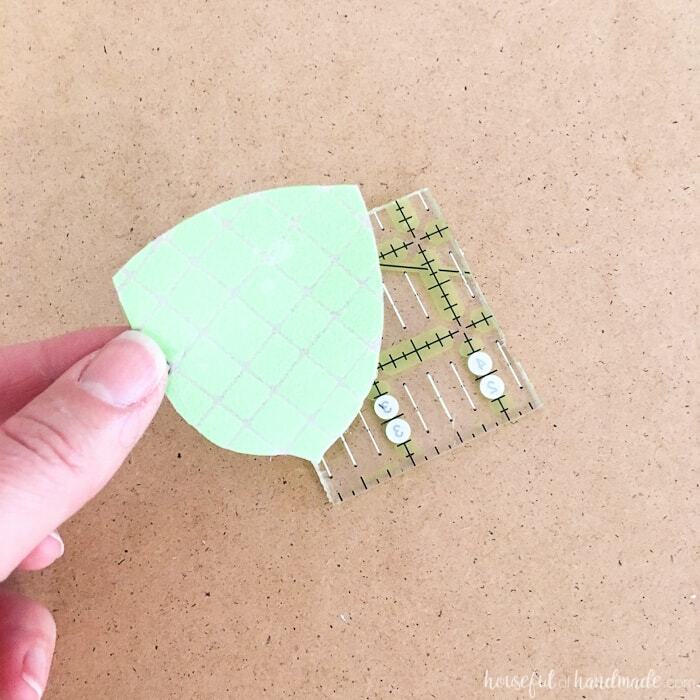 The large foam sheets can be too thick to cut with your Silhouette, but you can find extra thin little sheets in a pack for just a few dollars. I used a piece of broken quilters ruler as my backing so I could see through it to line up the second part of the design. You can also use pieces of thick plexi glass or wood as a backing, just cut it to the size you need. 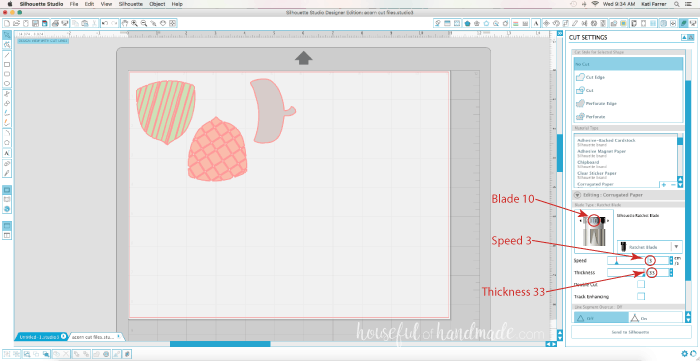 Open your design in the Silhouette design store. You can download the acornsMake it the size you want your finished stamp. Place the foam on your cutting mat. Cut the design out on the extra thin craft foam using a 10 on the ratchet blade, 33 cutting thickness, and 3 speed. 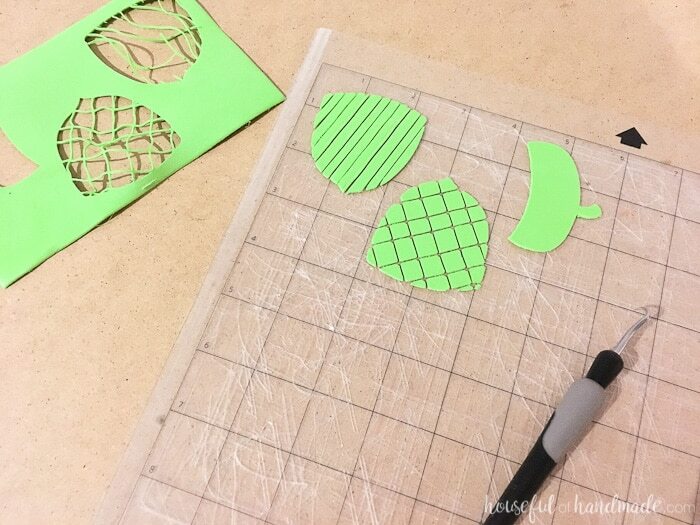 Leave the foam on the cutting mat and weed out the extra around the design. Take a piece of packing tape (or more if your design is large) and lay it on top of the foam. Make sure there is packing tape over all the pieces of the design. Carefully pull the packing tape and foam off the cutting mat. Trim away any excess tape from around the outside of the design. 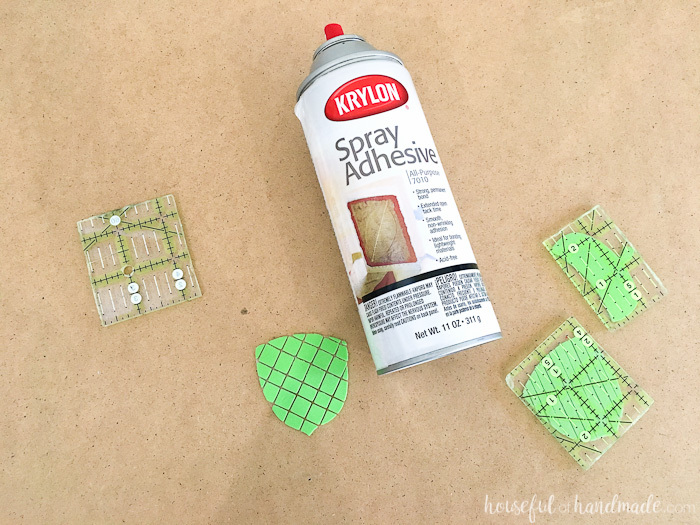 Spray glue on the smooth back of the packing tape and stick it to the piece of hard plastic or wood that you are using as the back of your stamp. The spray adhesive will take a few minutes to dry. Leave the stamp with the foam side down to apply pressure while it drys. The stamp may wiggle around on the backing if not fully dry because of the smooth side of the packing tape. 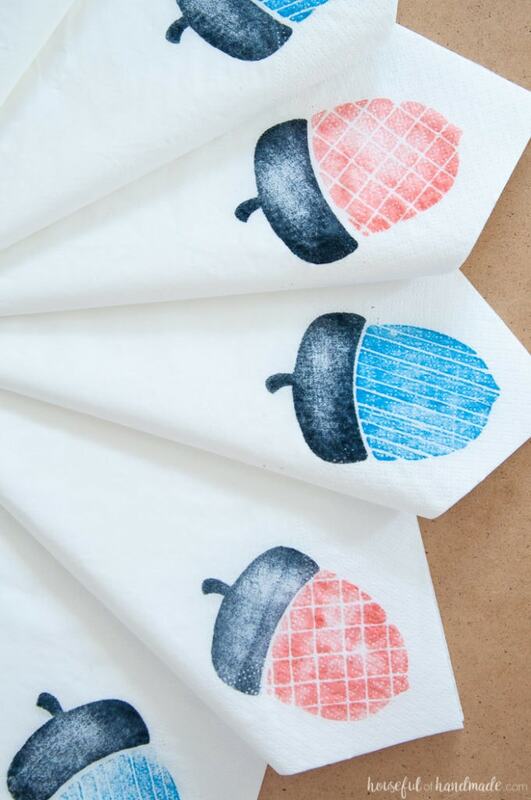 Once dried, your new stamp is ready to use to make these homemade decorative napkins! 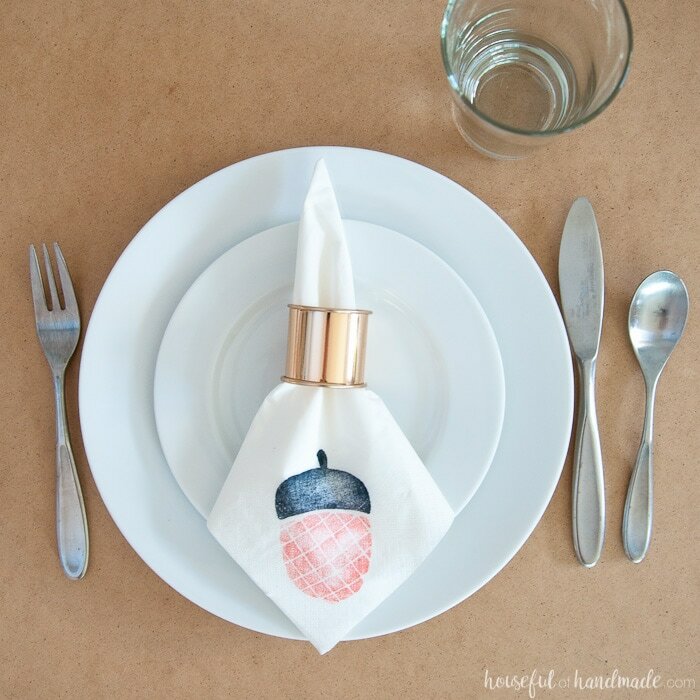 Use your new custom stamps to add a festive decoration to your paper napkins. I decided to make a little video to show you how easy it is. You’ll have a stack of fancy napkins ready to party in no time!